Greg Burns has been a favourite on the UK comedy circuit for almost 8 years and regularly delights audiences at all the major comedy clubs including The Comedy Store, The Glee Clubs and Jongleurs. 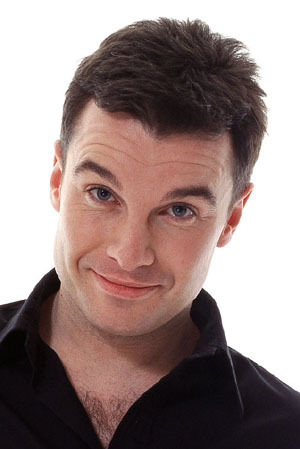 He is also the Thursday night resident compere at Lee Hurst's Backyard Comedy Club. In more recent years international audiences have had a chance to experience his playful humour and infectious charm as he has had the opportunity to perform in countries such as Hong Kong, Singapore, Dubai. It is in Australia however where Greg has found his second comedy home. Already having performed in Sydney, Adelaide and Brisbane, 2006 has seen him return to Australia where he has was invited to perform at the Sydney Comedy Festival. Although a familiar face and well-known name on the live stand-up circuit, Greg is almost certainly better known as a radio DJ. After 4 years at Heart 106.2FM, as host of the London's highest rating drivetime radio show, Greg has recently left to join Virgin Radio as their new Sunday afternoon host. Greg has not been confined to radio and the live stage, he has also made numerous TV appearances including BBC's 'The Stand Up Show', ITV's 'Oblivious', Channel 4's '11 O'clock Show' and Paramount Comedy Channel's 'The World Stands Up'. However, the one he is most proud of is playing himself in the Christmas Special of 'The Office'. As well as performing at comedy clubs Greg is also a popular choice for corporate events and has performed at and hosted many prestigious events. He is also an ambassador for the Global Angels Charity and often hosts fund-raising evenings for them.